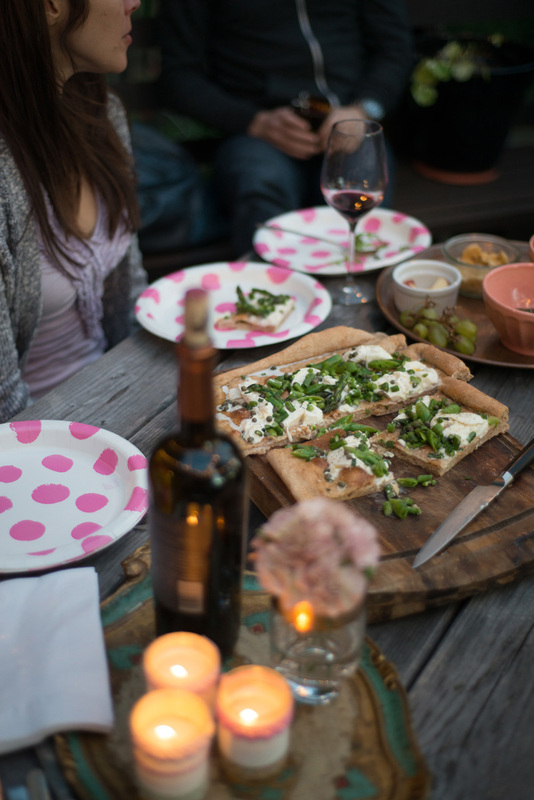 I’m so excited that outdoor dining season has arrived!! I would eat every meal outside if I could. We’re having a warm spring here in northern California, and we were able to have dinner on the deck last night with a few friends. 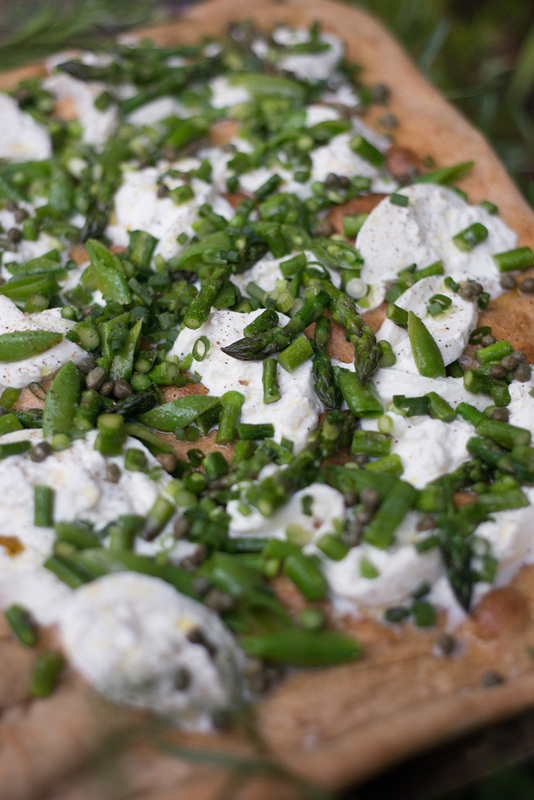 I made this spring-inspired flatbread which was great and easy for a casual dinner. We served it with a salad and wine. Delish!